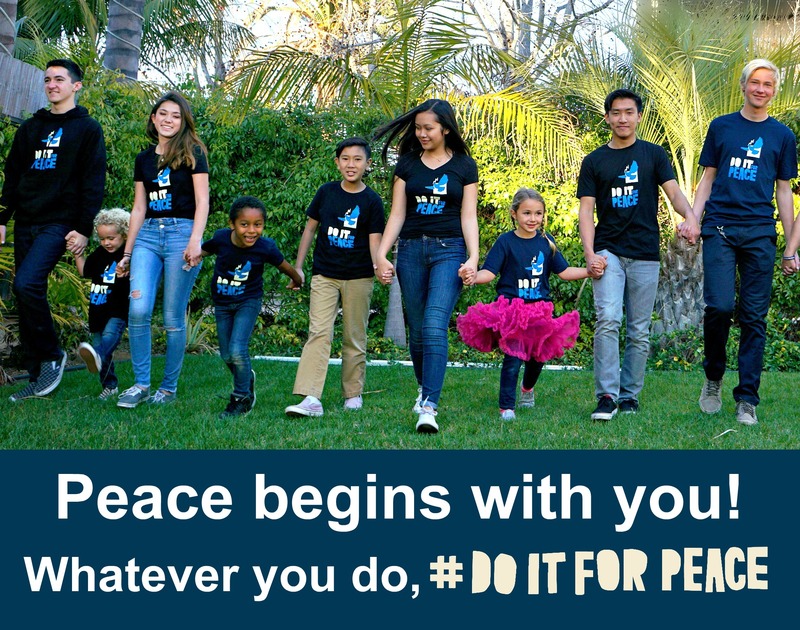 I’m helping @KidsforPeace ignite 1 billion acts of peace! 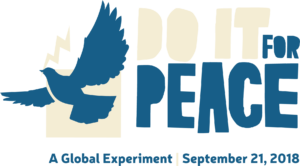 I __(your act of peace)__ for peace. 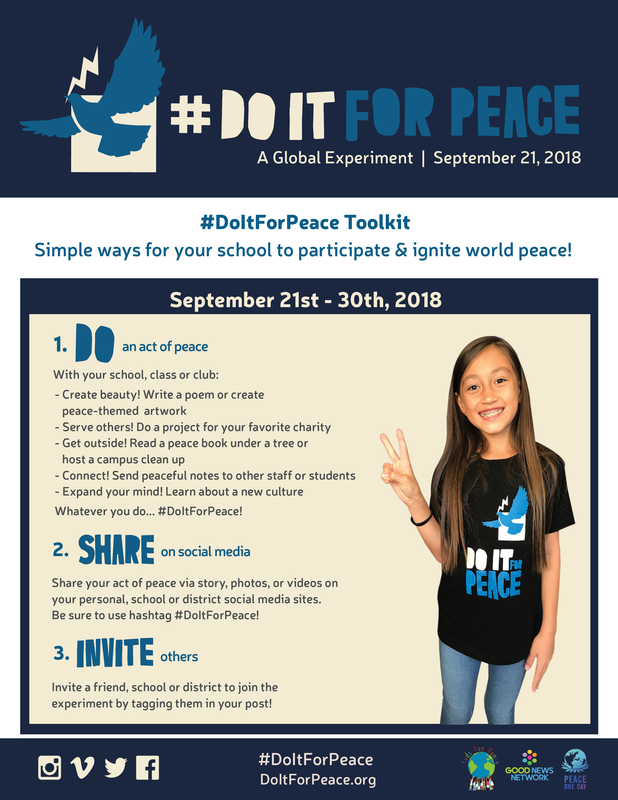 I challenge @Friend1 @Friend2 @Friend3 @Friend4 @Friend5 to #DoItForPeace! 1. DO what you love. 2. SHARE it on social media. 3. Tag 5 friends. 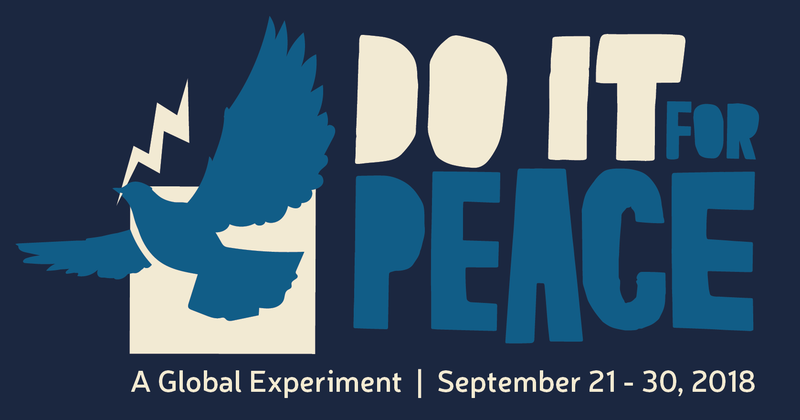 What will YOU do for peace? 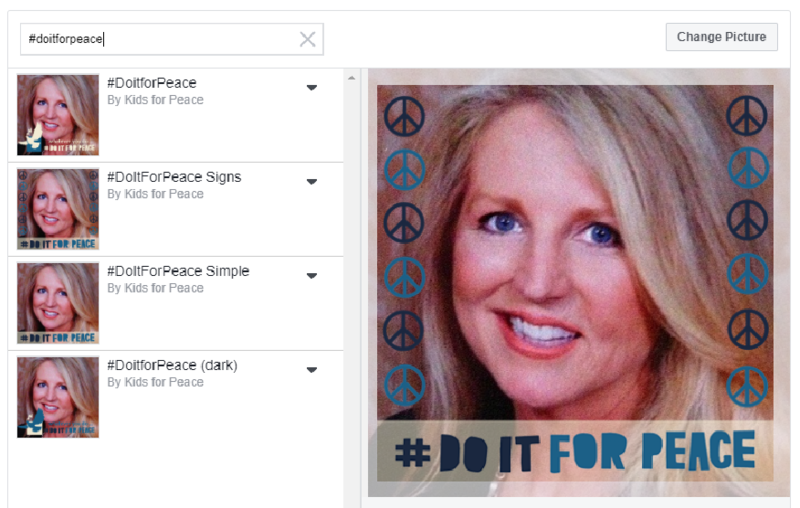 In Facebook, click "update profile picture", click "add a frame", search "#DoItForPeace", and pick your favorite frame. Have fun! 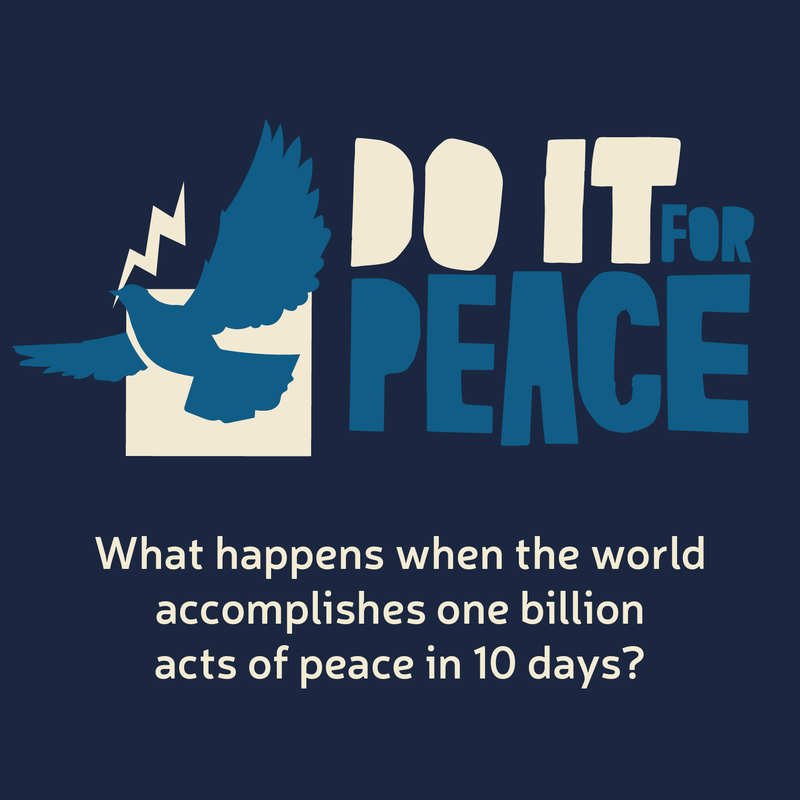 Kids worldwide are igniting one billion acts of peace in 10 days and we are joining in! 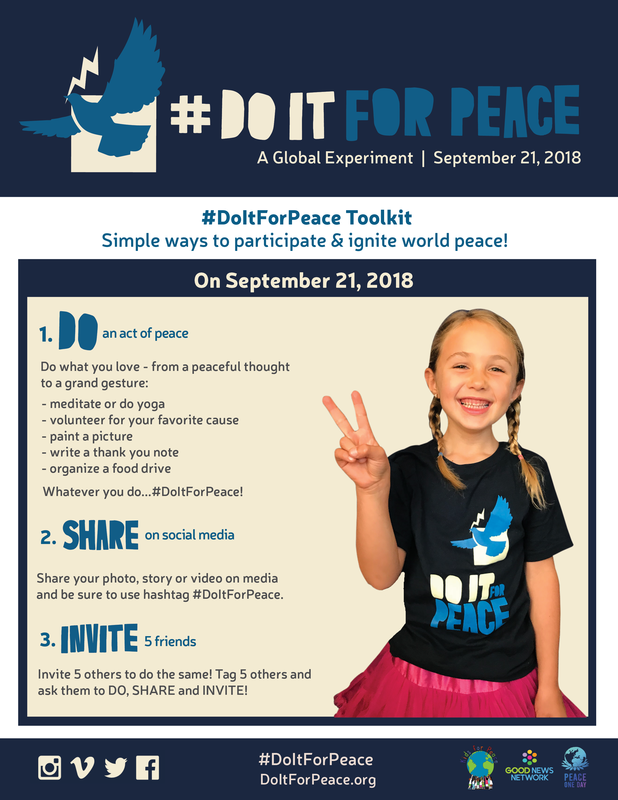 Launching on the International Day of Peace, we will participate in the #DoItForPeace global experiment in partnership with Kids for Peace, Peace One Day and the Good News Network. We invite you to join the experiment. It’s easy! 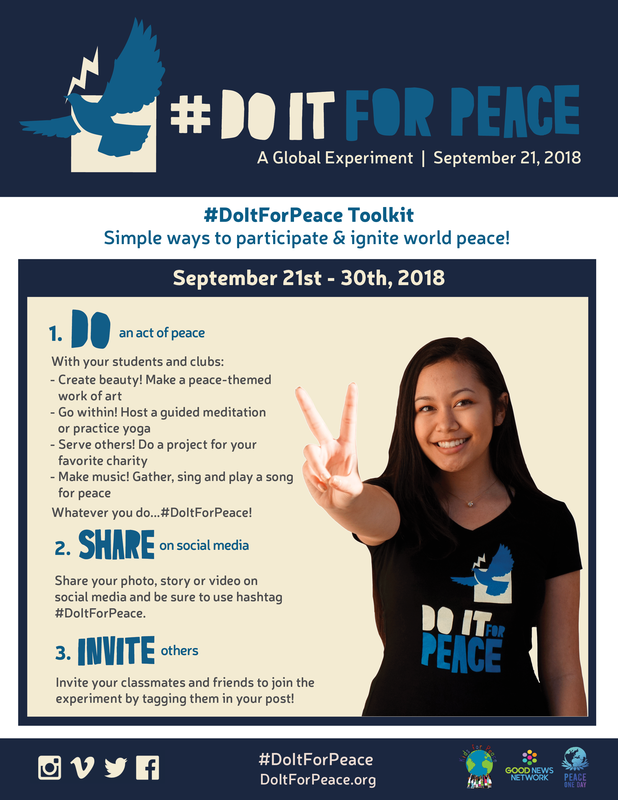 Simply DO an act of peace, SHARE it on social media using #DoItForPeace and INVITE 5 friends to join. To track the progress of the experiment, visit www.doitforpeace.org and see the world light up with each act of peace. Let’s unite the world and shift from a culture of fear and division to one of love and respect. 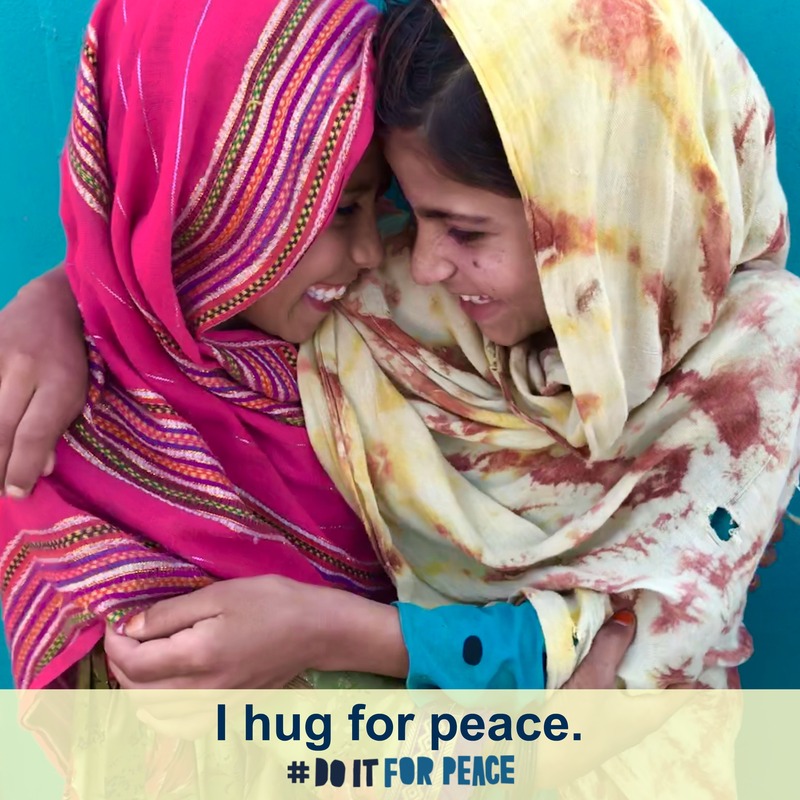 Peace begins with you. 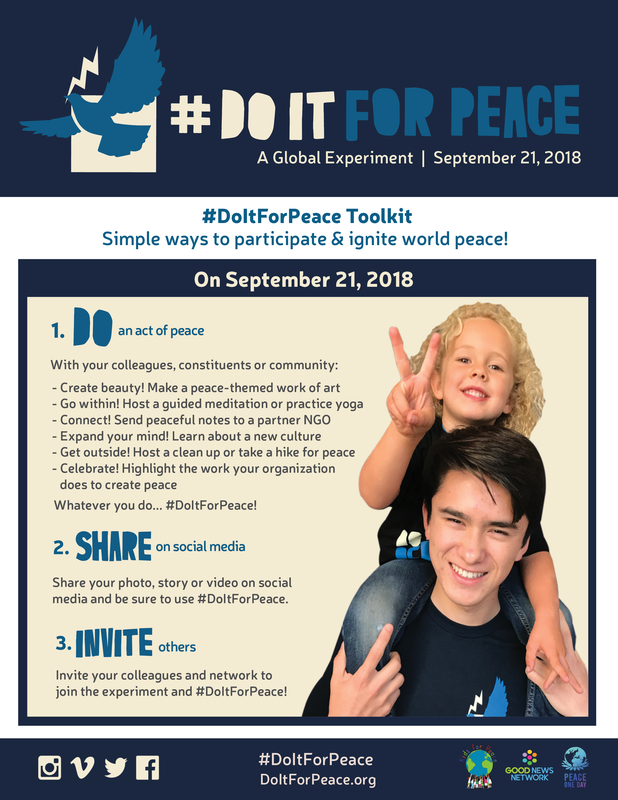 Whatever you do, #DoItForPeace!